As investors continue to optimize their retail center tenant mix to deliver valued services to local customers, vacancy trends have continued to tighten. The infusion of more Internet-resistant tenants including dollar stores and health clubs support declining vacancy. Moving forward, the combination of low unemployment and rising wages will support increased spending, driving retail sector momentum. 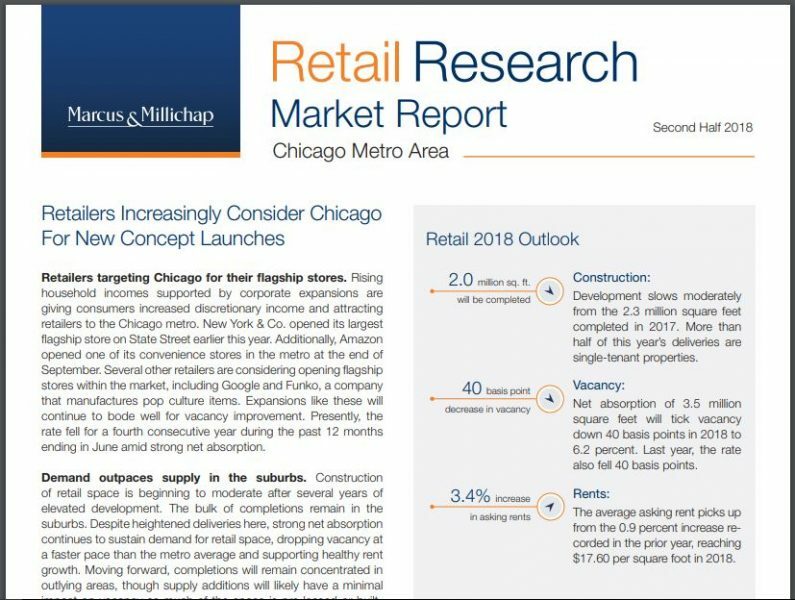 ■ Development pipelines remain thin as heightened lender discipline curbs retail construction. Tax code revisions are inspiring some companies to sell locations to fully capitalize on expense deductions. ■ Experiential retail remains the driving force behind the sector’s transformation.